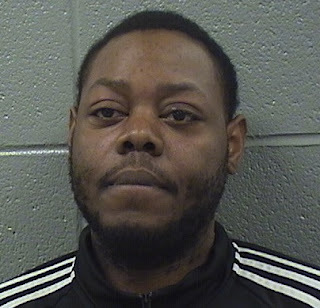 A man who’s been sent to prison three times for dealing drugs and once for possessing a firearm as a felon, is facing new charges of possessing a firearm after police interrupted a drug deal at the Clark-Division Red Line station. Officers were conducting a routine check of the station at 6 p.m. on March 22 when they came across a known drug user and 28-year-old Cantrell Brown engaged in a conversation on a stairwell, according to police records. Police stopped the two men because the train station is designated a narcotics “hot spot,” officers said. Police patted Brown down and found a handgun in his waistband, prosecutors said. At the police station, Brown told officers that he had swallowed four bags of crack when they approached him. He was taken to a nearby hospital for treatment. Brown, who police say is a Gangster Disciple street gang member, was charged with one felony count of being a felon in possession of a weapon. Judge Stephanie Miller set his bail at $20,000. State records show that Brown was released early from prison last April after serving half of four-year sentence for (this may sound familiar) having a gun in his waistband while selling narcotics in River North. Brown was also on parole at the time of that arrest for narcotics and resisting police, records show.